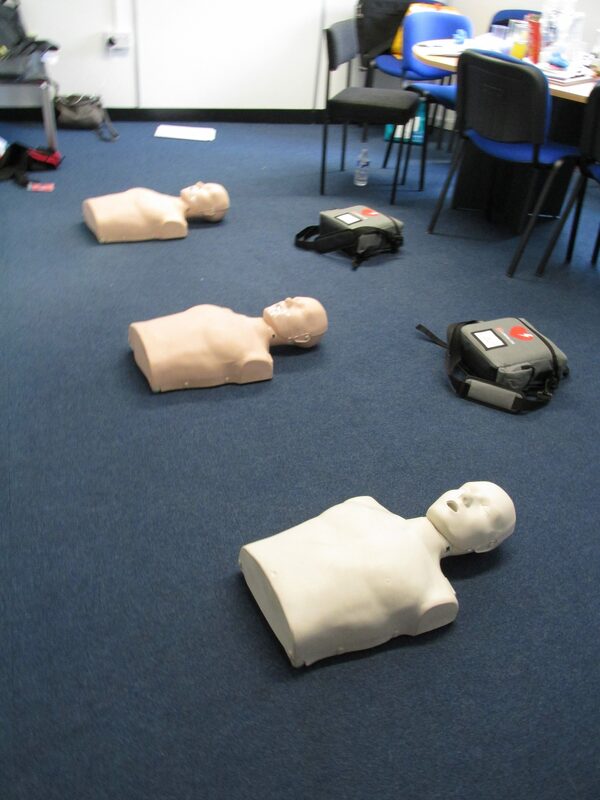 We are national providers of first aid training courses & health and safety training. We provide accredited First Aid Training, Fire Safety Training, Health & Safety Training services to a range of businesses across the UK. We help business owners and managers across the country to protect their employees. This is by having suitably qualified, trained staff and industry specific health and safety personnel, fully trained in health & safety and first aid at work within their business. This helps the employer and staff to comply with HSE regulations. Certify Group specialises in onsite & open courses in Health & Safety & First Aid at Work Courses . First Aid Courses such as AED, BLS & AED, CPR, Paediatric First Aid, Activity First Aid, Citizen Aid & First Aid Refresher courses with our experienced and qualified trainers who are based across the UK. We believe your business will be cared for by expert and friendly people. Certify Group offer a range of Regulated First Aid Courses, First Aid Training, Fire Safety Training, Health and Safety courses. These qualifications are delivered to businesses, organisations and individuals throughout the UK. First Aid Courses, First Aid Training, First aid Qualifications, Peadiatric First Aid, Emergency First Aid, First Aid At Work, Appointed Persons , Citizen Aid. Fire Safety Courses, Fire Safety Training, Fire Marshal, Fire Warden Training. Manual Handling Training, Mnaual Handling Courses. The company’s agenda & motto has always been to “provide the best high-quality training to enable our clients business to thrive safely ” and this is something Certify Group continues to deliver. All of our First Aid & Health & Safety Courses can be tailored to meet the needs of the customer. All Certify Group trainers are qualified, highly experienced, competent and friendly. For more information on the first aid courses, health and safety training and other courses we offer please contact us today. To find out how Certify Group can equip you & your staff with the knowledge and skills you need to carry out your tasks safely and efficiently. Find us on google maps or instagram. Qualsafe Awards (QA) one of the largest Awarding Organisations (AO) in the UK, they are also the biggest AO for First Aid qualifications, making us an extremely trusted and recognisable name. This is the name that employers look for when selecting a training provider. Qualifications Wales and the Northern Ireland Council for the Curriculum, Examinations and Assessment (CCEA). Health and Safety; Food Safety; Fire Safety; Education and Training; Manual Handling; and Health and Social Care. What is a personal learning record (PLR)? All of our Regulated Qualifications are registered by Certify Group against the individual learners ULN (unique learner number) registered on the goverment portal: https://www.gov.uk/topic/further-education-skills. Your PLR is your permanent, authoritative online record of your qualifications and achievements. The PLR records general and vocational qualifications such as but not limited to QCF, A levels, GCSEs, BTEC, Diplomas and Functional Skills. The PLR means you should no longer have to show copies of different certificates to learning providers and employers. You can provide this information as a report generated from your PLR. Our customers require the best possible training available at a time that suits your business at your premises or offsite. Find us on Google or google maps. As well as providing training at our customer own sites, we provide training from from a number of venues accross the UK, Gloucester x 2, Bristol x 3, Cheltenham x 3 , Caldicot, Birmingham x 5, Sutton Coldfield x 2, Doncaster x 2 , Leeds x 3, Hereford, Wakefield, Bristol, Worcester, Oxford, Warwick, Wolverhampton, Stainfoth, Lincolin. If you want more information please click on this “Contact” link which will take you to a page on our web site and send an email with your requirements. Please include your address detail and number of learners requiring training. We provide cover accross the whole of the UK, we can host the training at your company premises if you have a suitable area for practical training & desk based for powerpoint presentation. Message now via our contact page. We take direct payment for all our open courses before completion via VISA, MASTERCARD, AMERICAN EXPRESS.